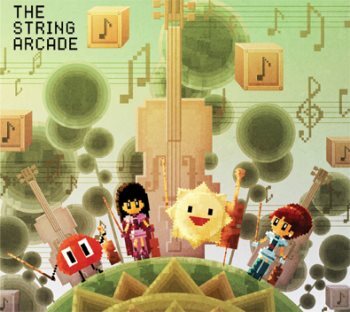 The String Arcade is a unique collection of 15 pieces of video game music arranged for a string quartet. "Grasswalk" has been released on Soundcloud to provide a taste of what's in store, and while I would have a hard time picking it out as a PvZ song (the only one that really stuck with me is "Zombies On Your Lawn"), it's pretty fantastic in its own right. The String Arcade has already been distributed to Kickstarter backers and will be released to the general public on February 11. Preorders may be placed now for either the digital version at iTunes or for the CD release, which includes two bonus tracks, at Bandcamp. Both versions currently offer a prerelease discount of $2, and all proceeds raised by album sales will go to the Alameda Music Project, a tuition-free after-school music program set to launch in September.